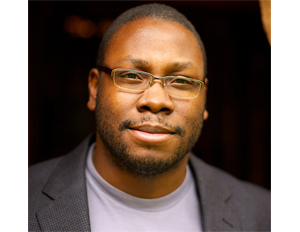 Jon Gosier, co-founded MetaLayer, a data management platform, in 2011. Jonathan Gosier, a TED senior fellow alum, founded MetaLayer with business partner Matthew Griffiths in 2011 to help non-technical users perform data-driven research such as trend spotting in big data sets, predictive analytics, and visualization using drag and drop data science technology. Â As an open-source product, the Philadelphia-based company works seamlessly with other data management platforms. Since its inception the product has helped customers in the intelligence community, government solutions, global crisis response, and public safety, visualize real-time sentiment of people in distress during Hurricane Irene, build products for countering violent extremism in Somalia, and use social media channels to monitor health trends and patterns using the online discussions of combat veterans. Gosier, who formerly worked as an audio engineer for pop music artists like Timbaland, The Neptunes, Britney Spears, and Kanye West, has also been influential in helping non-profit organizations use data to solve crisis situations. He was the director of SwiftRiver, an open source platform by Ushahidi that aims to democratize access to tools to filter and make sense of real-time information. After the earthquakes in Haiti, SwiftRiver compiled real-time web and semantic web data to help validate crowdsourced reports about where help was needed. 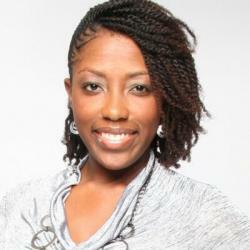 Though American-born, Gosier has also been a leader in big data across Africa. He founded Appfrica.com a global innovation consultancy in Uganda back in 2008. Â Over the past five year’s they’ve become one of the continent’s leading firms specializing in market research, technical solutions and software development, and investment into Africa’s tech sector. Their goal is to help grow the continent’s capacity to do the type of knowledge work that drove Asia’s economic growth over the past two decades, and is currently driving growth in South American countries. This week, we recognized Gosier for his keen business sense and astute handle on data science, which launched the vision for a technology solution that is not only financially profitable, but profitable for the protection and sustainability of the least among us, as well. For more on this week’s Tech Startup of the Week, visit the MetaLayer website. Interested in learning more about Jon Gosier? Join us at the Entrepreneurs Conference this year, where Gosier will join a panel of entrepreneurs who participated in an incubator or accelerator and leveraged the experience for early success. Join more than 1,000 outstanding entrepreneurs and top business experts at the 2013 Black Enterprise Entrepreneurs Conference + Expo hosted by Nationwide, May 15-18, at the Columbus Convention Center in Columbus, Ohio. Expect innovative sessions, high-powered speakers, and an early peek at the products, trends, and services you’ll need to stay ahead of the curve. Be sure to enter our Elevator Pitch Competition to qualify for the $10,000 grand prize. To register and find out more, follow the hash tag #BEEC on Twitter, “Likeâ€ the Black Enterprise Entrepreneurs Conference on Facebook and visit www.blackenterprise.com/ec!